Federal Law Enforcement 40 S&W Ammo 155 Grain Tactical Bonded Hollow Point ammo review offers the following information; For nearly a century Federal Ammunition has put its focus on manufacturing quality products with cutting edge technology. This dedication to excellence has given Federal a competitive edge as an ammunition technology giant. Today the company is well known for producing high grade centerfire, rimfire, and shotshell ammunition that shooters everywhere know and trust. 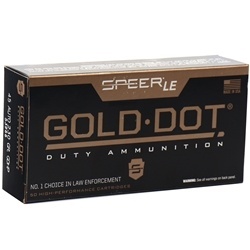 This Federal Law Enforcement ammo features a 155 grain Tactical Bonded Hollow Point bullet. This 40 S&W ammo is new production in boxer primed nickel plated brass cases. These cases can be reloaded for those high volume shooters that love to reload their 40 S&W ammunition. Federal LE ammo is designed for law enforcement, and its Tactical Bonded hollow point allows for better accuracy and lethal performance unlike any other 40 S&W ammo on the market today. It is a great choice for self defense, whether it be to protect your home or defend yourself with a carry option. Federal LE 40 S&W has a muzzle velocity of 1000 feet per second and a muzzle energy of 400 ft lbs. Law Enforcement ammo is packaged in boxes of 50 rounds and cases of 1000 rounds. Free shipping is available on bulk orders of this Federal 40 S&W ammunition. This 40 S&W ammo is new production in boxer primed nickel plated brass cases. 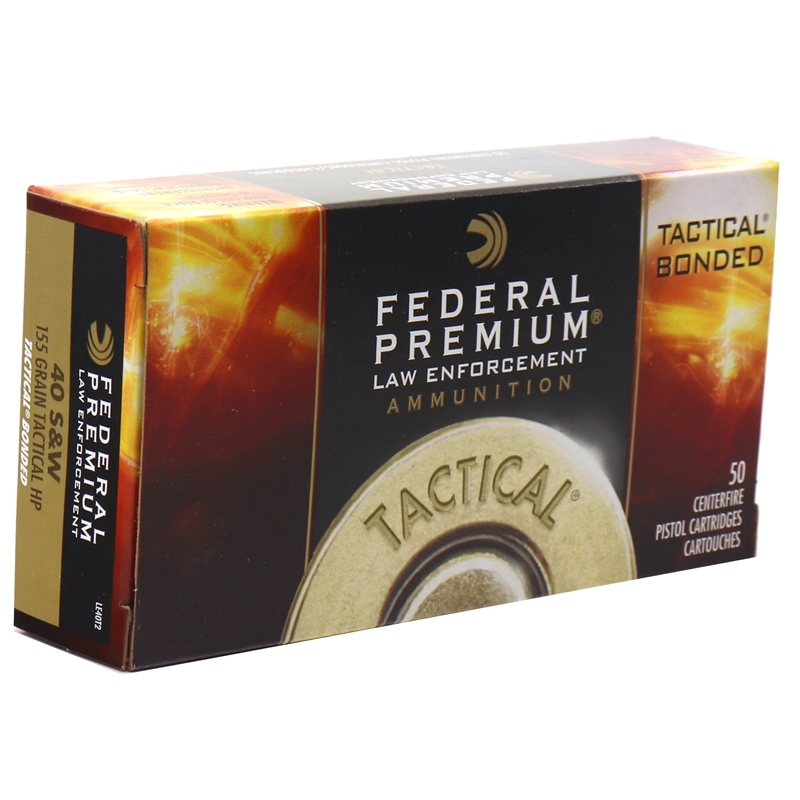 Federal LE ammo is designed for law enforcement, and its Tactical Bonded hollow point allows for better accuracy and lethal performance unlike any other 40 S&W ammo on the market today. It is a great choice for self defense, whether it be to protect your home or defend yourself with a carry option.